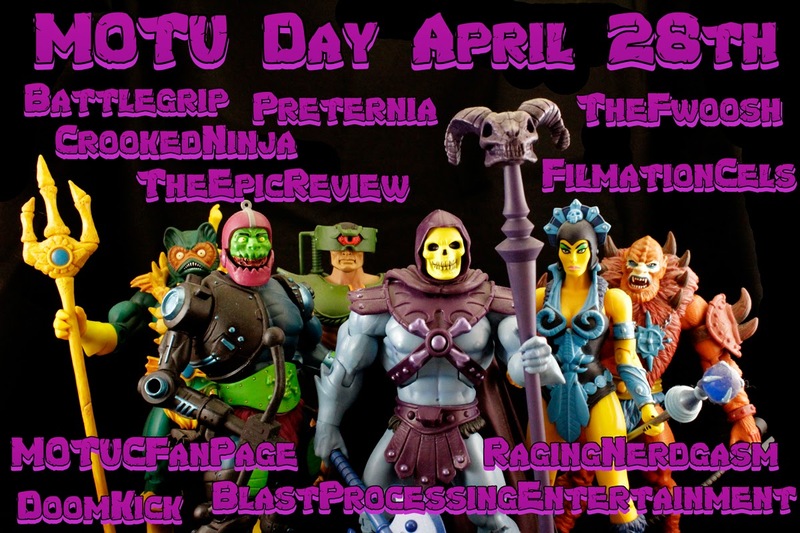 The Epic Review: Masters of the Universe Day 2014! This is it everyone! Today is Masters of the Universe Day! All day we'll be posting lots of great, new Masters of the Universe themed reviews and other fun stuff. It's not just us a The Epic Review though. There are lots of over great sites involved this year! Please visit all of these sites today and check out their great Masters of the Universe content as well!